Warning Sign. 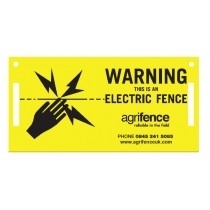 Complies with EU regulations 60335-2-76. Should be fitted where the public has access.